Computer freezes can sometimes be fixed by running a simple PC clean-up program. Downloading a free PC maintenance program can save you a lot of time that would otherwise be spent waiting for a program to load or a file to save. If you have been wondering how you can clean your PC for free, here are a few tips and programs that can help you! Defraggler is a free program that acts much like the default defragmenting utility in Windows. This program can fix slow computers that have fragmented hard drives (or, in other words, PCs with related files scattered across the hard drive). There are a few notable advantages of using Defraggler over the Windows default defrag tool. Defraggler only takes up 3MB of space and allows users to defragment individual files. This means that users performing a PC clean up can maximize the efficiency by only defragging crucial areas of their hard drive instead of the entire drive. If defragmenting does not solve the problem, you may still be wondering, how can I clean my PC for free? nCleaner is an all-in-one utility that can perform many functions that are crucial to fix a slow computer. Use nCleaner to fix a slow computer or to prevent computer freezes. Running this free software can help to increase the overall speed of a computer. Even better, nCleaner performs many of the same actions that expensive PC doctors and computer maintenance programs perform. Viruses and spyware are more prominent and dangerous now than ever. A great piece of software to fight viruses and spyware is AVG Free Antivirus. Spyware can bog down a computer and eventually causes computer freezes. 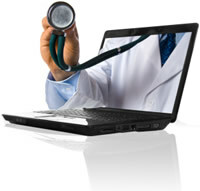 Viruses can be fatal to a computer with proper maintenance, which many users allow expensive PC doctors to perform. Luckily for those of you who want to clean your PC for free, AVG Free Antivirus can find these undesirable programs and files and remove them before they damage your computer. Additionally, a great feature of AVG’s antivirus program is their 24-hour technical support, which is also free. Choosing the right software can make all the difference in the end result of a PC clean up. Taking the time to fix slow computers will reward patient users with a faster PC and fewer computer freezes. Cleaning your PC for free is really just a matter of identifying the problem and choosing the appropriate free software. If you would like a more automated way to perform your PC maintenance, be sure to sign up for Free Computer Maintenance. Our software takes care of your most important computer maintenance tasks behind-the-scenes so that you can focus on actually using your PC.